Synopsis (via Goodreads): Fall in love, break the curse. 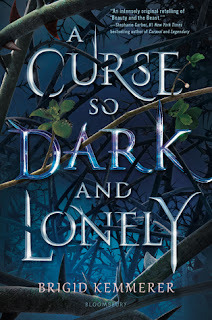 A Curse so Dark and Lonely completely consumed me once I started reading it! I kept telling myself it was late, and that I needed to go to sleep, but I just could not put this book down. Rhen and Harper were both trapped in tragic circumstances, and I felt compelled to continue reading until I knew how their story ended. It was devastating and beautiful, but also entirely believable. I loved Kemmerer's spin on Beauty and the Best, and thought Harper was fierce and wonderful. She's stubborn and strong, and she's willing to risk her life to save others. I don't think she ever thought of herself, because she was constantly trying to find a way back to her sick mother and troubled brother. Even after spending time with Rhen, Grey, and the people of Emberfall, she was unwilling to leave them if there was a possibility she could help save their lives. Her struggles were realistic, and she didn't accept her new surroundings without a fight. I don't typically like love triangles, and I'm not saying this has one, but there's an opportunity for one to occur. Honestly, I wanted Harper to end up loving both guys and spending her life living with both. I know that sounds really weird, but they both had qualities I admire, and I think they would have been happy in a three-person relationship. I also like that Harper has cerebral palsy. Honestly, if it hadn't been for the author's reminders, I would have completely forgotten about it. Her condition doesn't define her or affect what she's capable of. She's willing and determined to try new things, and she accepts herself exactly the way she is. Lilith called her broken, but I never saw her that way. She rides horses, runs from potential kidnappers, tries to save a women she doesn't know, and risks her life for a world that she's not a part of. I think Harper is a character that will inspire readers to be better versions of themselves. "They believe her limp is the result of a war injury, but Harper is quick to correct them. 'I was born this way,' she'll snap, 'and I'm going to die this way, so teach me to work around it.' They love her for it." Rhen mentions being a douchebag prior to the curse (and even a little at the start), but we also see how he's changed over the many seasons he's had to live through it. He's learned to care about his people, and he worries about their safety and whether or not they trust him to be in a leadership position. He's been physically and mentally tortured, and still tries to protect those around him. I didn't love everything about Rhen, but I understood him and his actions. Grey was mysterious and unintentionally charming. His words and movements are very calculated, and he manages to say a lot with very few words. He's loyal to a fault, and his loyalty has cost him a lot over the years. I was unsure about him at first (when he retrieves Harper), but he quickly gained my trust and respect. I'm curious what his role will be in the next book! 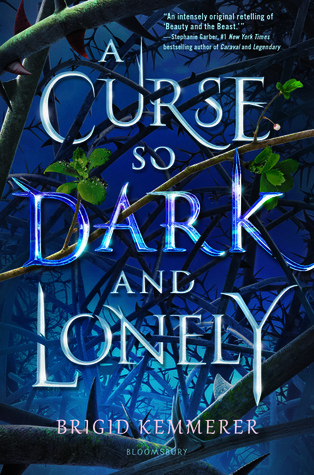 A Curse so Dark and Lonely may be a retelling, but Kemmerer easily made it her own. I loved her twists on the original story, and I'm happy she chose to include the surrounding kingdom and not just the cursed castle. It added an interesting and unique perspective! Harper and Rhen couldn't sit around and worry about themselves, because they had to work together to save his kingdom from an invasion. Truthfully, it was probably better for their relationship. I really, really loved this one! This book wrapped up nicely, but definitely left room for more. I really enjoyed this one as well. It was a very different take on Beauty and the Beast! Ha! Your comment about the love triangle made me laugh. I think I saw somewhere that Brigid mentioned it wasn't a triangle. I am curious to see how the next book will unfold. I’ve read two contemporaries by Kemmerer and loved them both so I’ve been super intrigued by this one. Even though I don’t read a lot of fantasy, this one just seems to call to me. It’s Kemmerer (plus), it’s a Beauty and the Beast retelling (plus), I’ve seem some pretty amazing reviews (plus), and that cover is gorgeous (plus? LOL). I love the sound of Harper - brave and selfless. And I’m intrigued by Rhen. 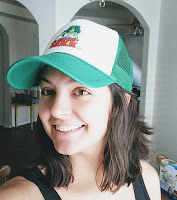 Your review has me excited for this one, Lindsi! Sounds wonderful!!! Definitely going to give a try!! Ah yay!! I definitely have to check this one out!! Great review! This was just so fabulous! I LOVED it and can't wait for the next one!! Right?! I honestly have no complaints. The ending -- !!! I cannot wait to see how the story progresses from here. Do you think the second book will simply continue the first, or will it be another type of retelling? Like The Lunar Chronicles? I've been waiting for this one forever! So glad it's out and I can finally get my hands on it! I love when I start a book and I can't put it down even when the rational side of my brain says I need to. May have to check it out. Yes! The mom in me knew my kids would still wake up at 6 AM, but the reader in me could not stop reading! I stayed up entirely too late to finish this one, and I have zero regrets. I did drink a lot of coffee the next day though, haha. Does that mean you also want them to be in a three-person relationship? Haha! <3 I liked both Rhen and Grey, so I think they should all share their love with each other. However, now that I think about it, I could get behind Grey and Zo! This sounds intense and perfect. I will definitely check this out. I really want to read this one! I gave my arc away lol I'm hoping it comes up on audio at my library and I can listen to it on my move.